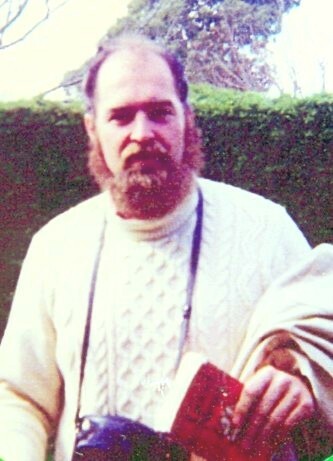 The purpose of this small website is to give a brief insight into the writings, thinking and influence of Jim Punton who was a Church of Scotland minister, who worked for Frontier Youth Trust from 1971 until his death in 1986 at the age of 48. Jim had a great influence on a whole range of people, contributing particularly to their understanding of the Bible in its socio-political context. "Thirty years on Jim’s insights, writings and work are still profoundly relevant. The poor are still with us. Justice, Kingdom, Shalom and Jubilee toll like bells." Jim was a Scot and proud of it, though most of his working life was spent south of the border. He was born in March 1938 and brought up in the East Lothian town of Haddington. He studied at Edinburgh and at St. Andrew's universities. Worked in New York for two years. Then worked, based in London, for Frontier Youth Trust which was then part of Scripture Union. His work as Education and Training Officer for FYT involved him in an extensive programme of speaking and training engagements throughout the UK. He read and wrote extensively. He also made working visits to Australia, Thailand, Ireland and the USA. This website is an attempt to make available to people some information about Jim, some examples of the influence he had on people, and to provide convenient access to a number of his articles and talks. It is, in a way, presented as a tribute to Jim, and an attempt to ensure that his thinking and his writings are still available to help and influence others. Please use the menu at the top to navigate around the site.